Great news loyal followers, my new transport has arrived! No more trying to train magpies and pigeons to carry me about (unless I’m attempting aerial attacks of course). My parents bought me this cool new car. It says Fluence on the back but that’s not a very cool name so I’m going to get a chisel and take that off and replace it with its new name. I have named it the Oinkmobile. I think it’s a fairly marvellous name. I decided to take my new car for a spin. Unfortunately I haven’t had my growth spurt yet (it’s going to happen any day now, my Daddy says he grew really fast and he’s really tall now so it must be the same with me. I’m aiming for 7 feet tall so I can tower over Daddy). I wasn’t able to reach the pedals! Or the gear stick 🙁 Luckily I came up with a very crafty solution. I enlisted help. I got Barky to look after the pedals, he likes jumping on things so he quite enjoys it. Ted is the most technical, he’s always helping Daddy build and fix computer stuff, so I put him in charge of choosing the right gears and changing them. Mickey sits on the indicator switches and puts them on and off and when I need lights he can climb over to the other side of the wheel. I of course am in charge of steering the car. I’m the most important. Unfortunately, my Mummy heard the car starting and came running out. She told me that the car isn’t really mine but I know she was only saying that so that the others wouldn’t be jealous. She did agree to take me for a spin but I have to sit in the back like a child and wear a seat belt. I’m going to need to get a booster seat to see out the window properly. 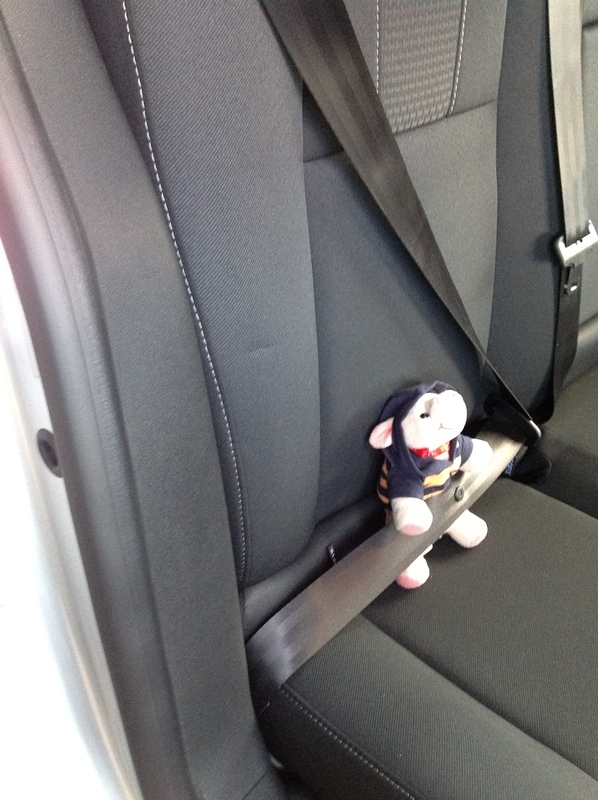 I will use this turn of events to my advantage and declare that I now have a chauffeur driven Oinkmobile and I shall sit in the back and wave to my adoring public. 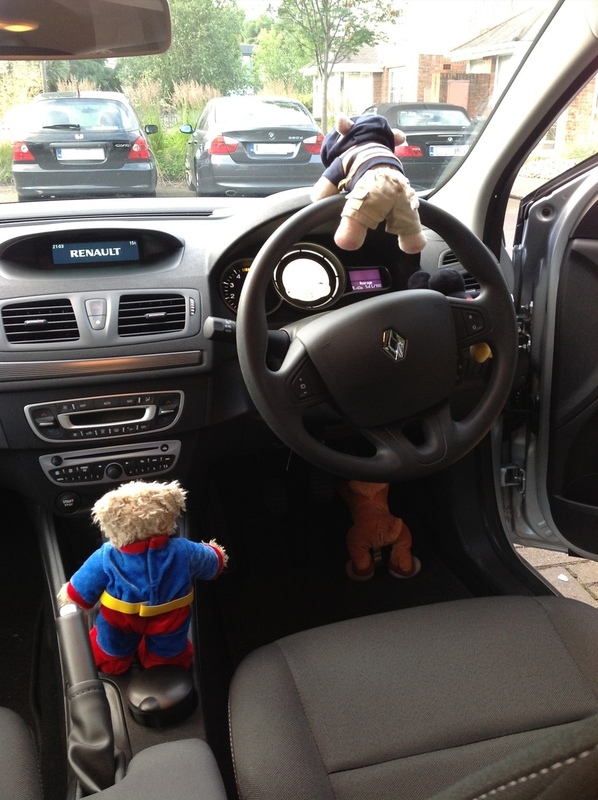 Now if only I could persuade my chauffeur to drive really really fast…. 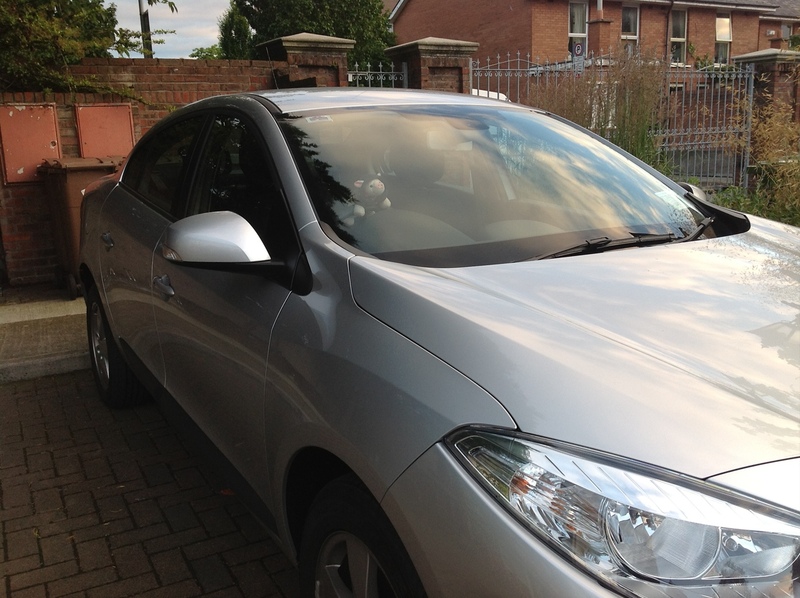 This entry was posted in Uncategorized and tagged Oinkmobile, Renault fluence. Bookmark the permalink.